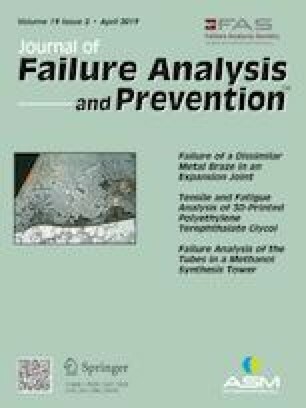 Failure analysis of a cam gear in the torquemeter assembly of a turboprop engine has been carried out to determine the root cause of the failure so that remedial measures can be adopted to prevent such failures in flight. During flight, one of the engine torques and turbine temperatures started fluctuating leading to the shutting off of the engine. Detailed defect investigation reveals that improper assembly and mounting of the gear have led to the shearing off gear teeth causing torque fluctuation. The authors are very grateful to the Chief Executive (Airworthiness), CEMILAC for his kind permission for publishing this paper. They are also very thankful to the engineers of Hindustan Aeronautics Limited and Aeronautical Quality Assurance for their support during the present work.